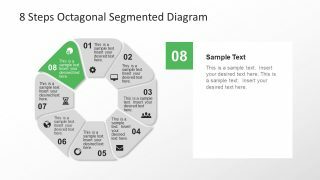 The 8 Steps Octagonal Rounded Segmented Diagram is a strategy development and planning PowerPoint. 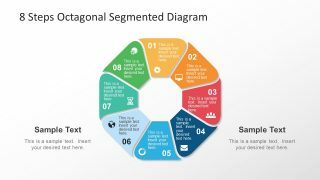 The template has awesome shapes of fan belts aiding to design an impressive business diagram. 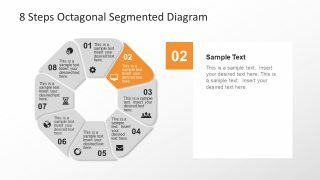 The octagonal diagram template is a circular process flow with colorful shapes. 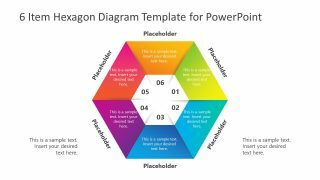 Alternative to hexagonal radial SmartArt, this PowerPoint has amazing shape designs and infographic icons. 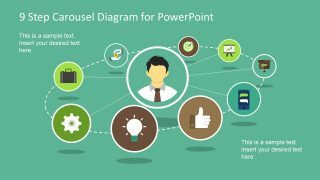 Further, it saves time and effort to add information in this presentation and adjust objects with few simple clicks. 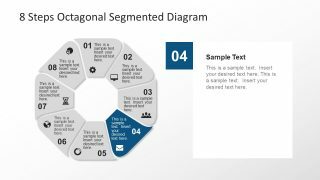 This geometric shape process diagram has many real-life applications in various industries. For example, architecture, engineering, research, science and business. 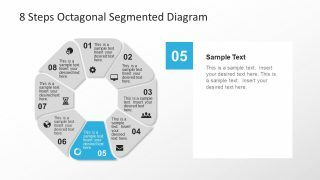 Therefore, it is ideal to explain 8 stages of a concept, an iterative process or sub-elements on an entity. 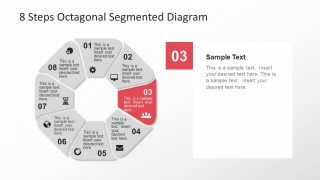 This 8 Steps Octagonal Rounded Segmented Diagram is a 9-slide PowerPoint of creative shapes, beautiful infographics, and outstanding color scheme. 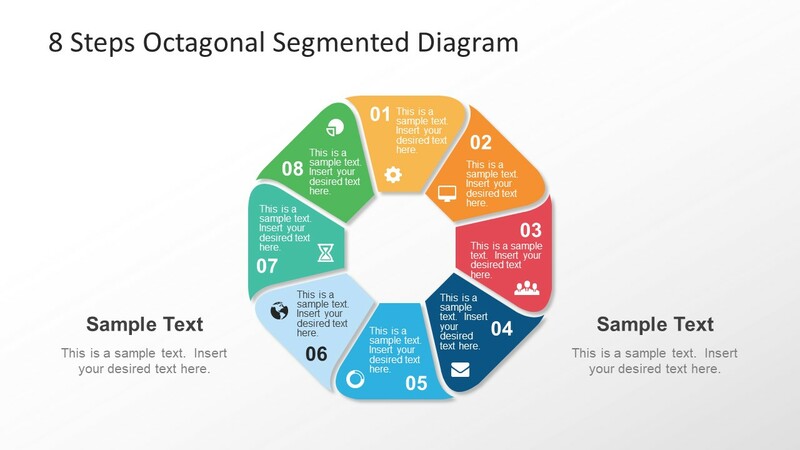 The icons inside every segment help visually represent the section of octagonal rounded diagram. 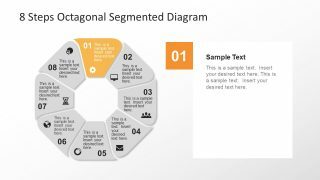 These include, gear, scree, team, envelope, progress cycle, globe, hour glass and pie chart icon. 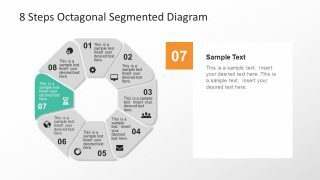 Although, the segments however have numbers to distinguish and distinct color. 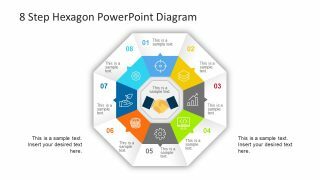 There are further eight slides which highlight every section of diagram individually. Also, layout provides beautiful design of text placeholders for detail descriptions. Additionally, there are text fields inside each figure to write key points. The octagonal segmented diagram template of 8 steps rounded pattern lets the users customize numerous features of this PowerPoint. For instance, they can modify the color theme and give it a gradient effect. To do so, select the fan blade style figures, one at a time. Next, go to the drawing format tab and choose from darker to lighter tone of one color for each for gradient effect. Alternatively, choose desire gradient option from shape effects dropdown menu. 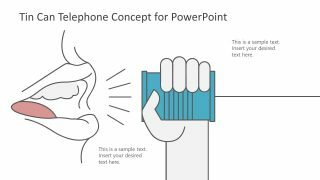 The users can copy slides, icons and all the editable objects in other presentations that appeals to the audience.